Japan’s Freshness Burger has upped its bonkers burger game with its latest release: the Blueberry Cheese Burger. As ASCII points out, Freshness Burger previously released a Peach Burger, which was beef, bacon, a slice of peach and cheese, and a Mango Burger, which was beef, a huge mango slices and onions. This time around, Freshness Burger’s latest fruit-meets-burger endeavor has blueberries on cheese, bacon, beef, onions and lettuce. 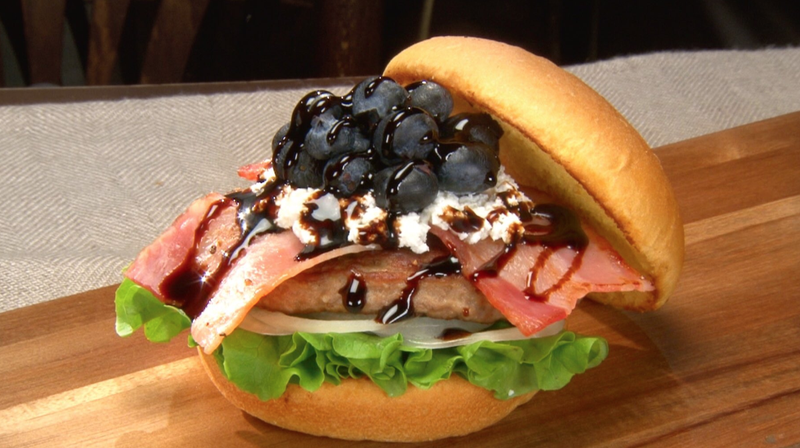 Yes, there are other blueberry cheese burgers recipes, and Yokohama based burger shop Jaffe Joffer has also been serving up its own blueberry burger. But with tough times for Mos Burger, many burger lovers in Japan have gravitated towards Freshness as the country’s best hamburger chain. So far, the reaction has been good, even if the blueberry burger does look mind-melting. The Blueberry Cheese Burger will be available until February 28.